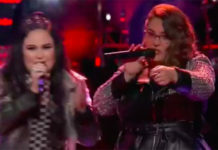 Jej Vinson and Beth Griffith-Manley from Teak Kelly performs “Jealous” on The Voice Battle Rounds on Monday, March 25, 2019. “Jej, your tone is really interesting and cool,” said John Legend. 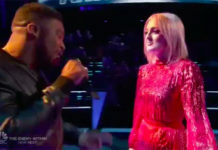 “Your voice is amazing perfectly blended together,” said Adam Levine. 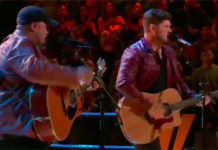 “You all did exactly what asked you to do,” said Kelly Clarkson. 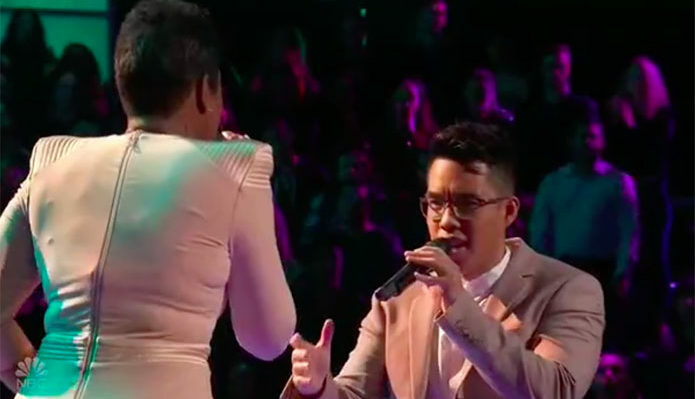 The winner of this battle is Jej Vinson, John Legend steals Beth.